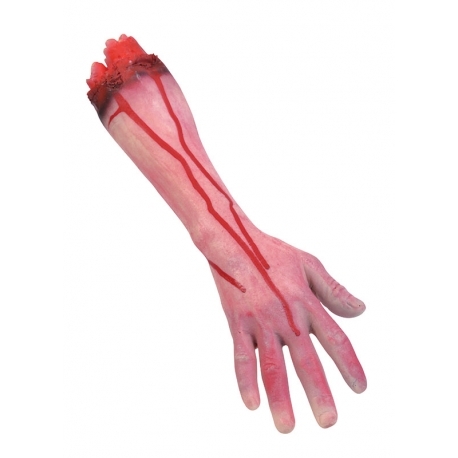 Gory, ghostly, ghastly, grisly, ghoulish and gruesome are the terms used to describe our Halloween Body Parts and the bloodied Cut Off Arm is no exception! Made of rubber latex this horror prop is life-size and very realistic. Lots of halloween ideas should come to mind as to how you can use the Cut Off Arm prop to scare your friends or the Trick or Treaters at the halloween party.